Heat oven to 400°F. 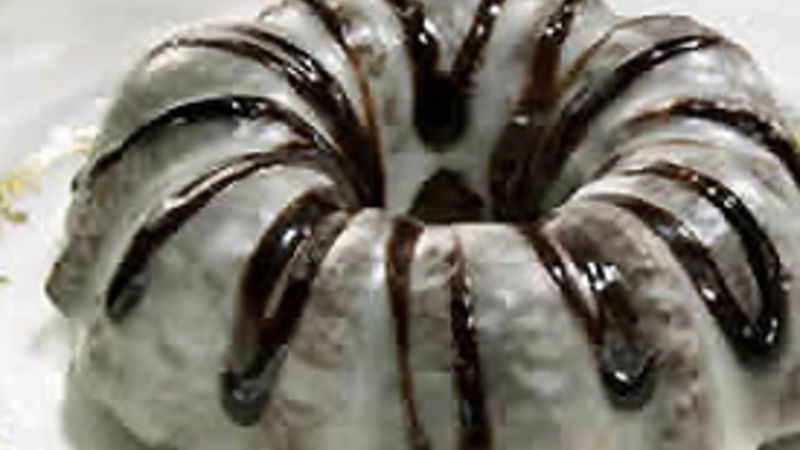 Spray 12 nonstick miniature Bundt® cups (six 1-cup fluted molds to a pan) with nonstick cooking spray. Reserve chocolate syrup packet from brownie mix. In large bowl, combine brownie mix, buttermilk, oil and egg; beat at medium speed for 1 1/2 to 2 minutes or until smooth. Spoon 2 heaping measuring tablespoons batter into each sprayed cup. Bake at 400°F. for 10 to 15 minutes or until toothpick inserted in center comes out clean. Cool 5 minutes. Run knife around edges of doughnuts to loosen. Remove from cups; place on wire rack. In small bowl, combine all glaze ingredients, adding enough milk for desired glazing consistency; blend until smooth. Brush or spoon glaze over fluted side of each doughnut. Cut off small corner from chocolate syrup packet. Drizzle syrup over doughnuts.